Looking for an Art Deco style bangle with a look that compliments your contemporary jewelry pieces? 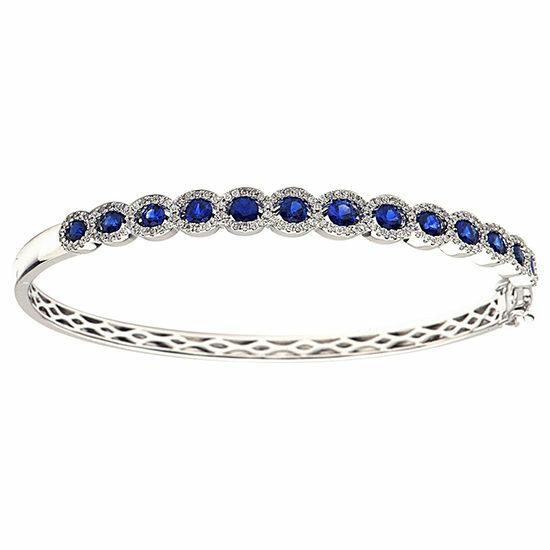 Consider this Diamond and Blue Sapphire bangle bracelet in 18k white gold. This bangle features 1.50 carats of perfectly matched cornflower blue Sapphires and 0.53 carats of perfectly matched diamond pave. Cornflower blue is considered to be the most beautiful and desirable color of Sapphire and these gems were specially selected for their ideal color. 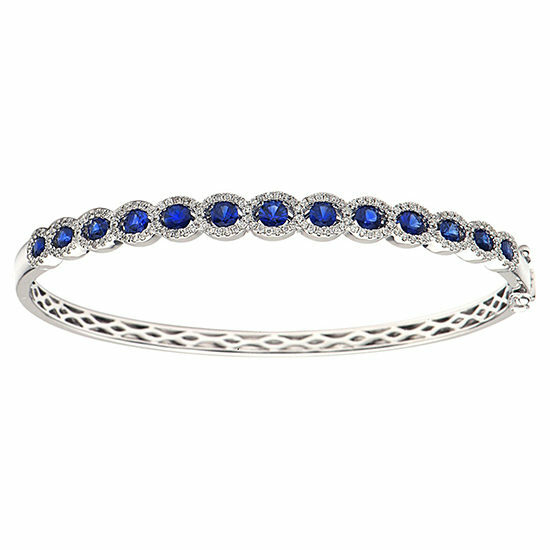 This bangle is thin, classic and perfect to add to your stackable bangle collection.